12-22) 1sc in each for 11 rows. 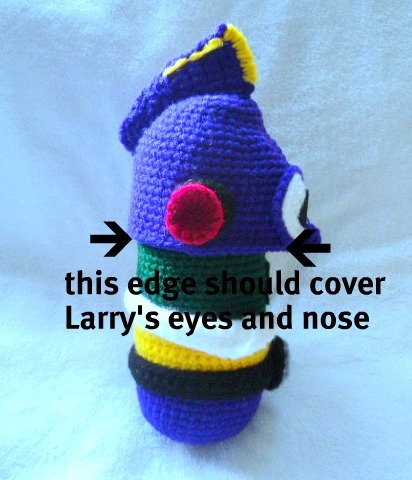 *** Now put the top part on doll and make sure the bottom edge of piece covers the eyes and nose of Larry. If not then add another row or 2.
sew 2 pieces together and then decorate with some yellow as pictured below. place onto helmet and shape it a bit with your fingers to make it easier to sew then sew piece in place making sure it's centered. I'm passing on the Liebster blog award to you because I think your blog is great! 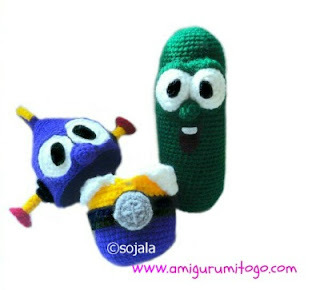 Full details on my blog, hope you have a brilliant week!